There’s nothing a footballer needs more than a green field to play on and people who can spot that talent. There’s nothing a footballer needs more than a green field to play on and people who can spot that talent. In its sixth edition, TNIE’s GOAL has managed to put some of Kerala’s best college talents on to the national stage and get them the recognition and the level playing field they’ve always craved. Adwaidh Rajan chats up a few of the big guns who graduated from GOAL...Sometimes, the force is well and truly with you. In Midhun V’s case, he might have felt that force driving him forward in the TNIE GOAL 2013 All Star team’s 2-0 win over Kerala’s Santosh Trophy team. His brilliant saves – including a penalty – at the Jawaharlal Nehru International Stadium, would change the course of his life. Little did he know then that he would be keeping the goal for the same state team in less than a year’s time! Time often makes or breaks the career of a sportsman. And that is precisely what The New Indian Express’ initiative to host an incentive-laden all Kerala inter-collegiate football tournament has provided for dreamy-eyed youngsters in the football-crazy state. The success of the tournament is put into perspective by the fact that nearly half of the current Kerala Santosh Trophy team debuted on the big stage in TNIE GOAL. Midhun’s display in GOAL 2013 for SN College, Kannur helped him win a contract with I-League second division side, Eagles FC Kerala which in turn earned him a call up to the state team in 2015. In his third Santosh Trophy campaign, Midhun is an assuring presence under Kerala’s crossbar. “Milton Antony, who was the Eagles’ assistant coach then and is in the same role for Kerala now, saw me play in GOAL and asked me if I am interested in playing for them. I think that was a turning point in my career,” said Midhun, the son of former Kerala Police goalkeeper Murali V. Midhun, now 24 and a member of the State Bank of Travancore side, did not concede a single goal in the 270 minutes of football Kerala played in the qualifiers. It is proof enough that trust was not misplaced when Express named him GOAL’s best goalkeeper. While Midhun is the giant under the goalpost for Kerala, leading their attack is Joby Justin who played for MG College, Thiruvananthapuram in the same edition of GOAL. “It was a breakout year for me to play in GOAL as well as the all-India university championships,” said Joby, who hails from Vettucaud. “Under coach Satheevan Balan, Kerala University emerged as runners-up in the all-India championship. Then the Kerala State Electricity Board gave me a playing contract and I went straight into football from college,” said Joby, who completed his B Com and is now a sports assistant at KSEB. He made it to the Santosh Trophy team first in 2015 but an anterior cruciate ligament (ACL) tear after the qualifiers meant that he could not play in the final rounds. Making a comeback to the team this year, Joby started in every game this season and scored the state’s first goal against Puducherry. Another youngster is Asharudeen who represented SS College, Areekode in last year’s GOAL 2016. A product of the Vision India grassroots development initiative, 19-year-old Ashar was a revelation who rose from under the wings of Coach V P Shaji. A menace for opposition defenders in all three South Zone games, the youngster is looking at a very promising career. “I want to play in big tournaments like the Indian Super League and I-League. Playing for India is also a dream, but this is just the beginning. There are plenty of areas to improve and I will continue to work hard to be a better footballer,” said Ashar, whose looks up to Lionel Messi. 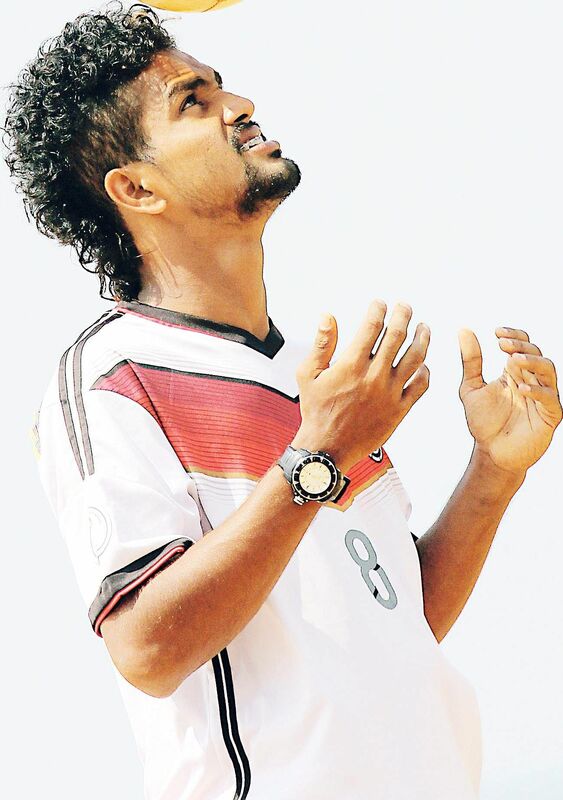 Defensive midfielder Netto Benny appeared in two editions of GOAL for Baselius College, Kottayam. Coached by his father Benny Mathew at Koothattukulam, he joined the Kerala State Sports Council’s sports hostel in Panampilly Nagar, Ernakulam where he honed his skills as a footballer. A third year BA Politics student at Baselius, Netto was converted from an attacking midfielder to a more defensive role by Baselius coach Bino George. “This is a position where the Kerala coach wanted experience. So, he picked the more experienced Seesan S for the job,” said Netto. However, Shaji decided to reward Netto for his patience by bringing him on in the second half of Kerala’s crucial third game against Karnataka. “I think I did my job by not letting them score against us,” the 19-year-old said. 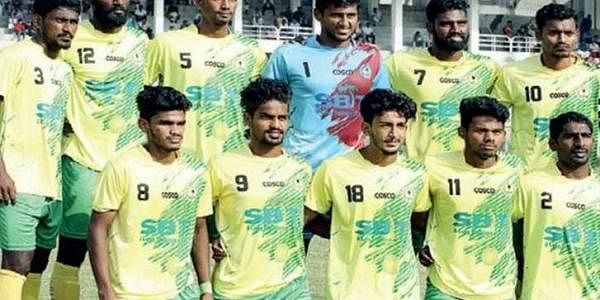 Sreerag V G and Rahul V Raj, who have been solid in Kerala’s defence, helped Sree Kerala Varma College win two editions of GOAL in 2012 and 2013. And they are hoping to replicate the success with the state team. “We have a great coaching staff and a group of players who have gelled well. With more practice, I do not see why we cannot have a go at bringing back the prestigious trophy for Kerala football fans,” said Sreerag, whose performance in GOAL led him to play for Goan giants Churchill Brothers. “I played under Nigerian coach Joseph Afusi and the game was at a different level. But coaching and playing under Kerala Varma coach Narayana Menon V A had given me enough confidence to play at the top level,” said Sreerag. Another GOAL alum in the Kerala squad is Eldhose George, a prolific goal scorer who helped MG University to finish second in the all-India inter-university football in 2014. Eldhose was on fire, scoring 14 goals for the university but lost out to Calicut University in the final. Eldhose feels that the standards they were treated to at GOAL 2015 were excellent. “The stadium in Malappuram was excellent and playing under lights with a lot of spectators is something we had never done before,” said Eldhose, who is now doing his MA Economics at Mar Athanasius College, Kothamangalam. The youngster started out as an athlete at Mar Basil HSS but switched to football after playing in the school football tournament. He made two appearances from the bench for Kerala at the South Zone qualifiers.